If you haven’t been able to afford an HDTV, or don’t want to pay service providers a monthly fee for high definition television, here are a few alternative options to watch HD content that won’t break the wallet. 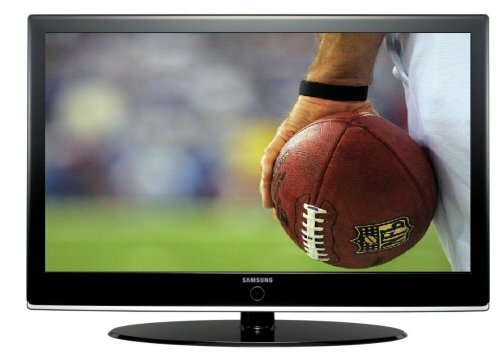 You need an HDTV with digital tuner to view over-the-air high definition broadcasts, but you don’t need to pay a service provider for the channels. Simply plug in an antenna to pick up local HD networks like NBC, CBS, ABC and PBS. Downfall: channel availability will vary according to where you live and how many signal obstructions there may be. If you subscribe to Xbox Live you can download plenty of HD titles. If you own a PS3, you can also download HD content. An HDTV is obviously needed, and chances are if you own a hi-def gaming console you will probably have one. Question is, why would you download from the PS Video Store when you have a Blu-ray player right in your hands! Pinnacle & Elgato both make the USB device. The compact receivers cost around $100-$125 and capture digital and high-definition broadcasts through a connected antenna. A small set of rabbit ears will cost about $10, and with the software provided you can schedule and record programs. iTunes has quite a few TV shows available for download, and recently added back NBC content in standard and now high-definition to its library. HD downloads generally cost $2.99 per episode, and some TV show episodes are currently available to download for free. Although laptop and PC monitors don’t have the same type of luminance or contrast an LCD or Plasma television has, they can display a great amount of detail. I work on an Apple LCD monitor with resolutions up to 1920×1050. The contrast ratio doesn’t compare to my Samsung LCD HDTV, but it does display a good picture. If none of these options work for you, bring a six pack over to a buddies house that has HDTV.